Google Analytics has introduced two new features: a new version of Tag Manager for your mobile apps and a software development kit (SDK) to make it all work together. The Google Analytics SDK words two-fold. It includes all the Google Analytics functionality you need, while also allowing providing a framework for Google Tag Manager for Mobile Apps to work. 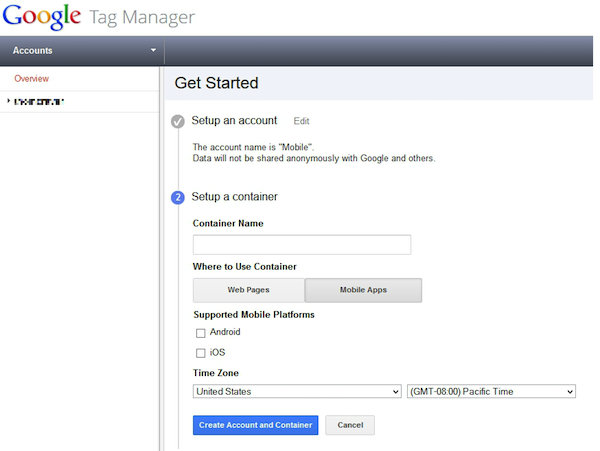 Previewed at Google I/O, Google Tag Manager For Mobile Apps provides similar conveniences, but with better effect. Depending on how your tech team has developed your mobile app, it can be difficult to change settings or add additional tracking elements. Apps for devices are not like Web pages. They must take original code (typically Objective C or Java) and then be recompiled into the app package, itself. Changing one setting not only means testing and recompiling, but also deployment. Your app is reliant on users to update to the latest version before that change is implemented. Google Tag Manager for Mobile Apps eliminates that problem. All of your tracking codes can be edited and fine tuned right from the Tag Manager Web interface. When changes are made, a push notification is sent the devices running the app. The Google Analytics SDK interprets the changes and makes them happen, without any need for recompiling. This means your app doesn’t “change” or “constantly update” users. Out of the box for its initial launch, Tag Manager for Mobile Apps supports Google Analytics tracking, and both conversion tracking and remarketing using AdWords tags. There are also a myriad of third-party tracking event functionality that can be taken advantage of using the “custom” tag. Only Android and iOS platforms are supported currently. While adding the Google Analytics Services SDK will require a recompile and re-deployment, it is likely the last one you’ll need for the foreseeable future, at least as far as tracking events and campaigns is concerned.